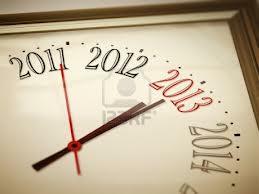 Turn the clock forward one year. If you could change your life into whatever you want it to be - what would it look like? I'd be closer to walking in the ways of which God's called. One specific change would be the use of my "time" (or His time He's allotted to me). Proverbs 31:27...not eating the bread of idleness. Much of my days are often wasted (vs tending to my home or family) due to being busy with the lives of others (not in ministry) and being entangled in the affairs of this life (2 Thes 3:11, 1 Thes 4:11, 2 Tim 2:4). I can see how media (FB, Twitter, etc) are opportunities for good; yet I mostly see them as distractions and hurdles for those striving to stay focused on the mission of God yet tempted by the soft pleasures of idleness. my first hope is that the RAPTURE will take place in this year. secondly, I would not trust myself to make any changes in my life. For 34 years I made the rules which, of course, were temporal and for my benefit. for the past 40 years I have striven to let Jesus take the throne of my life, so I look to Him Who knows all things to make changes in my life. these changes would be eternal and for His glory. HAPPY NEW YEAR everyone. may God strengthen each of us for the coming events of 2013. may we truly be the salt and light God has called us to be!